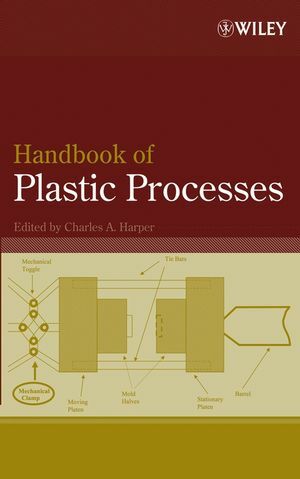 Handbook of Plastic Processes is the only comprehensive reference covering not just one, but all major processes used to produce plastic products-helping designers and manufacturers in selecting the best process for a given product while enabling users to better understand the performance characteristics of each process. The authors, all experts in their fields, explain in clear, concise, and practical terms the advantages, uses, and limitations of each process, as well as the most modern and up-to-date technologies available in their application. Each chapter details a particular process, its variations, the equipment used, the range of materials utilized in the process, and its advantages and limitations. Because of its increasing impact on the industry, the editor has also added a chapter on nanotechnology in plastics processing. CHARLES A. HARPER is President of Technology Seminars, Inc., an organization that has provided educational seminars to the industry for over twenty years. An engineering graduate of The Johns Hopkins University, where he has also served as an adjunct professor, Mr. Harper has held leadership roles in many professional societies and organizations and is a Fellow of the Society for the Advancement of Materials and Process Engineering. He is the author or editor of numerous books in the plastics and materials fields. 10. Assembly (Edward M. Petrie). 11. Decorating and Finishing (Edward M. Petrie and John L. Hull). 12. Polymer Nanocomposite Processing (Nandika Anne D'Souza, Jo Ann Ratto, Ajit Ranade, Will Strauss and Laxmi Sahu).